Although it was time for little Shreyas to leave the UK and come back to India, the British authorities made him stay for his exceptional skills and the fact that the UK needs more people like him. Shreyas Royal, a nine year old, Indian origin boy in the UK has had an unusual call taken for him by the British authorities. Royal, a chess genius, was to leave the UK following the expiration of his father’s five year work visa but the Home Office made an exception for the boy, hailing him as an “exceptional talent”. Home secretary Sajid Javid said he took a “personal decision”to make the boy stay in the UK. “After carefully reviewing the evidence, I have taken the personal decision to allow Shreyas and his family to stay in the UK,”Javid told the press. “The UK is a country that fosters world class talent and Shreyas is one of the most gifted chess players in his generation. We have always been clear we want a world-class immigration system that welcomes highly-talented individuals from across the globe,” he said. Royal is a chess champion, ranks second in the world in his age group and one with the potential to be at number one. 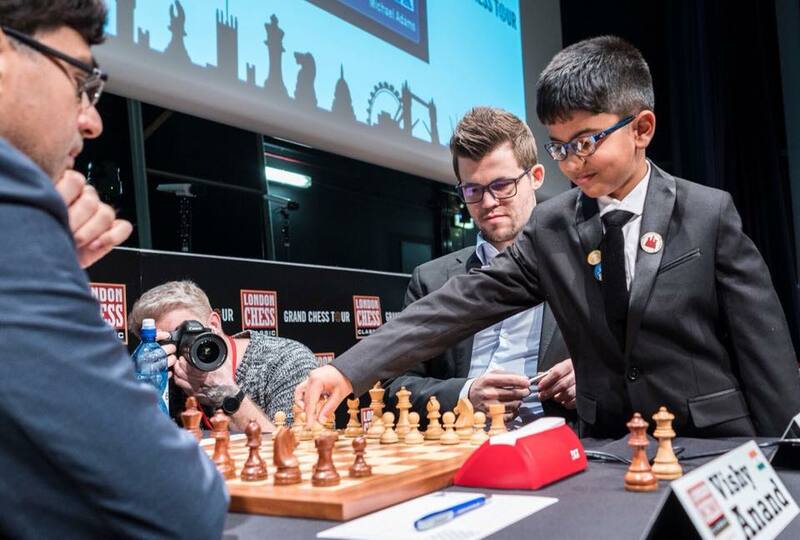 The news is an enormous relief and in 10 years time Shreyas could be a “a household name as England’s first world champion,”said Leon Watson, secretary of Battersea Chess Club, where Shreyas is a member. “Our country badly needs someone like this, the next Nigel Short or Michael Adams, and we firmly believe Shreyas will do us proud,” he added. Royal was expected to return to India as his father Jitendra Singh was not eligible to extend his visa; but a number of British MPs intervened in the case and urged Javid to make an exception in Royal’s case. “They (Home Office) just e-mailed me and told me they had considered my case and we are allowed to extend our leave to remain on Tier 2 general route,” Singh told the press. I want to thank all those who helped and supported us,” he said. Singh will now be able to apply for the extension of his visa without needing to leave the UK. It will be sponsored by his employers, Tata Consultancy Services (TCS), and will allow Royal and Singh’s wife to stay in the UK as dependents. “I was jumping here and there and dancing. I was really happy today,” said Royal. “I want to be the best at it and become the world chess champion at the age of 18,” he added. Shreyas started playing chess three years ago and has represented the UK internationally.